Surround WP Kaolin Clay protects plants in three ways, promoting higher yields and more high-value fruits and vegetables. 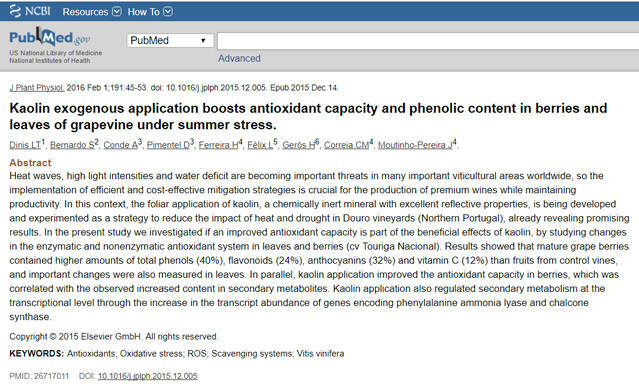 First, the calcined kaolin particle surround-kaolin-clay-sds surround-kaolin-clay-application-sheet surround-kaolin-clay-label surround-kaolin-clay-info-sheet film of Surround protects fruit against direct sunburn and heat stress damage. Surround can reduce sunburn losses by up to 50%. Second, Surround promotes plant health, which leads to more efficient photosynthesis and higher yields under extreme light and heat growing conditions. And third, carefully timed treatments of Surround reduce insect activity, delaying or even eliminating the need to apply conventional insecticides later. No other sunscreen product provides this insect suppression capability. For organic growers, the insect suppression properties of Surround provides a valuable tool in managing insect populations. Surround is certified for use in organic production systems by the Organic Materials Review Institute (OMRI). 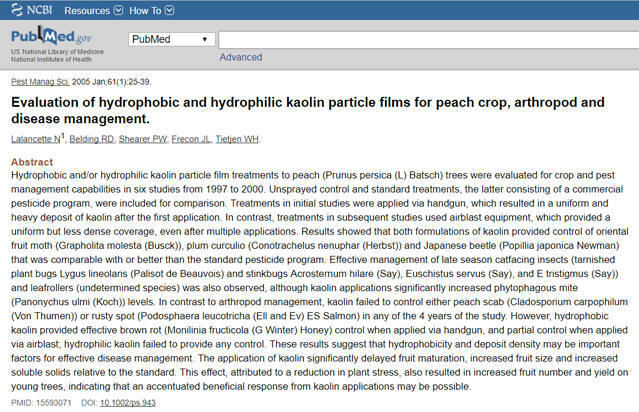 Surround Kaolin Clay crop protectant forms a barrier film, which acts as a broad spectrum agricultural crop protectant for controlling damage from various insect and disease pests, a growth enhancer, and as a protectant against sunburn and heat stress. • Surround promotes plant health, which leads to more efficient photosynthesis and higher yields under extreme conditions. • Surround reduces insect activity, delaying or even eliminating the need to apply conventional insecticides later. • Surround is OMRI Listed and a valuable tool for both organic and traditional growers. 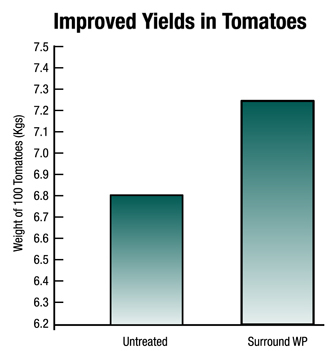 For Insect Pests & Disease: For optimal results, use Surround WP at 25 to 50 lbs. per 100 gallons of water. Concentrations of up to 100 lbs. per 100 gallons are allowed. For smaller volumes, use 1/4 to 1/2 lb. of Surround WP powder per one gallon of water (1/2 pound is approximately 3 cups). For Sunburn & Heat Stress: A rate of up to 100 lbs. in 100 to 200 gallons per acre is allowed for post-harvest sunburn and heat stress use. • For maximum results, applications should be made at 5-7 day intervals. • For sprayers difficult to shake, premix in a 5 gallon bucket per the directions below and pour suspension into sprayer. • Shake the sprayer occasionally during application. • For fresh market crops that will not be washed or for field packed crops where a residual white film is not desired, make applications early-season only. • 25 lb. Bag (covers approximately 1/2 to 1 acre).